Do you know of a Homeless Veteran or a Veteran whose home does not meet their needs? 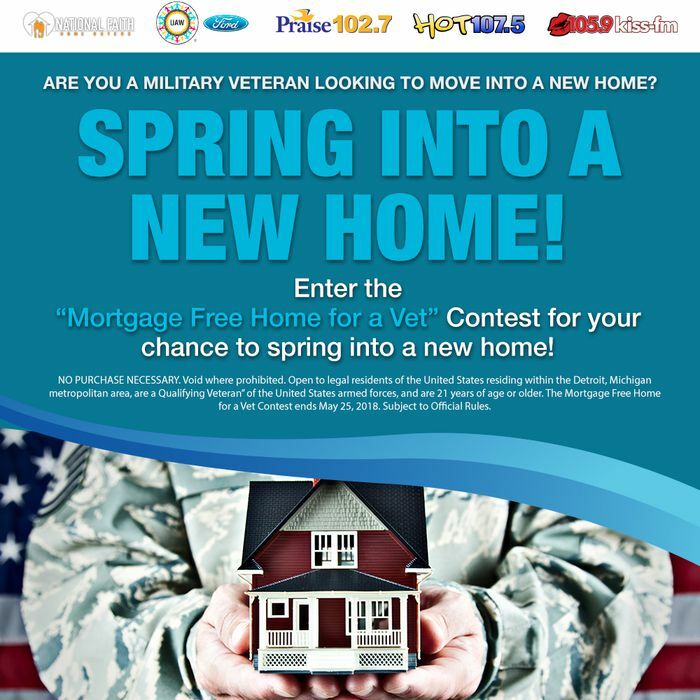 UAW Ford along with National Faith Home Buyers appreciate your value and because of that we are giving one lucky Veteran a MORTGAGE FREE HOME! · Contest entrants must reside in the Detroit, MI metro area. The geography isn’t precisely defined in the rules but we should assume the Detroit DMA (Port Huron to Toledo and roughly Howell to Lake Huron). It’s possible that we could get the boundaries extended and I’ll check with our Promotions Director. · Entrants must desire to live in the State of Michigan for not less than 10 years. The NFHB prohibits the winning veteran from flipping the house.